Prepare yourself for this stunning Fireplace Project that will alter your backyard experience! The "Sims" Outdoor Fireplace Project by Leisure Select showcases gorgeous, eye-catching stones and a mantel shelf that can be customized to match your home's exterior. Why not add a special touch to your Outdoor Room that will not only impress visiting guests, but will give them a place to warm up during the fall and winter months? This "Sims" Outdoor Fireplace Project features a conveniently raised hearth, hartstone cap and wood storage boxes to the right and left of the fireplace! And the material available comes in wide assortment of colors, sizes and shapes, so we promise we will find the best materials for your home! Does your backyard offer a leisurely experience, year-round? 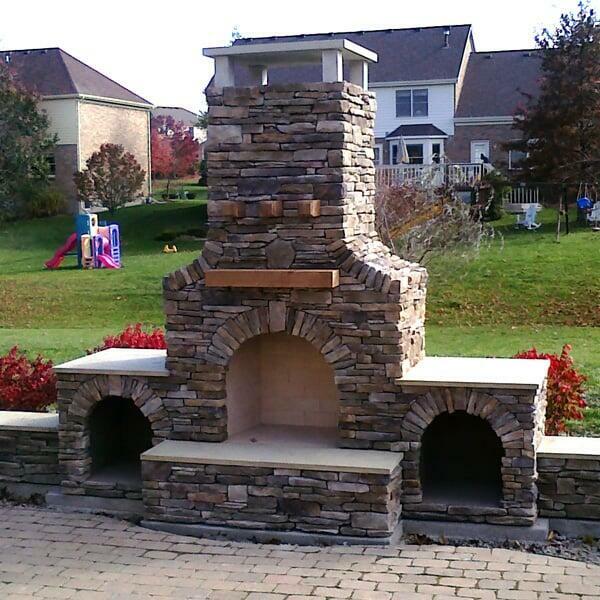 If not, then contact Family Leisure today and ask about the "Sims" Outdoor Fireplace Project by Leisure Select! When it comes to design, quality and value, nobody beats Family Leisure in Outdoor Wood Burning Fireplaces. Our Fireplaces are custom made to match any decor and are the perfect addition to any outdoor living area.